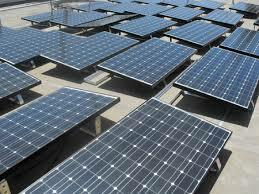 Renewable energy has become the latest trend now, given its low cost and flexibility. San Diego which produces the second largest electrical output from solar energy in the US has laid out a new plan to cope with climate change. The new plan initiates to run the city completely on renewable energy by 2035. The city also plans to reduce 50% of the greenhouse gas emission by 2035. Another target of the plan is to create Jobs through manufacturing and installation of solar panels. San Diego is not the only city, trying to go 100% renewable. San Francisco, Sydney, and Vancouver have already joined the growing list of cities committed to run completely on renewable energy. With recent record of Costa Rica running 99% on electricity generated from renewable energy, this plan from San Diego doesn't seem too far-stretched.